Argania, or Argania Spinosa is a tree which can live from 150 to 200 years. Its fruit contains a very hard nut, containing two or three kernels known as arganons. An oil rich in unsaturated fat is refined after dry-pressing the arganons. This well reputed oil possesses antioxidant powers and is very nourishing for the skin. 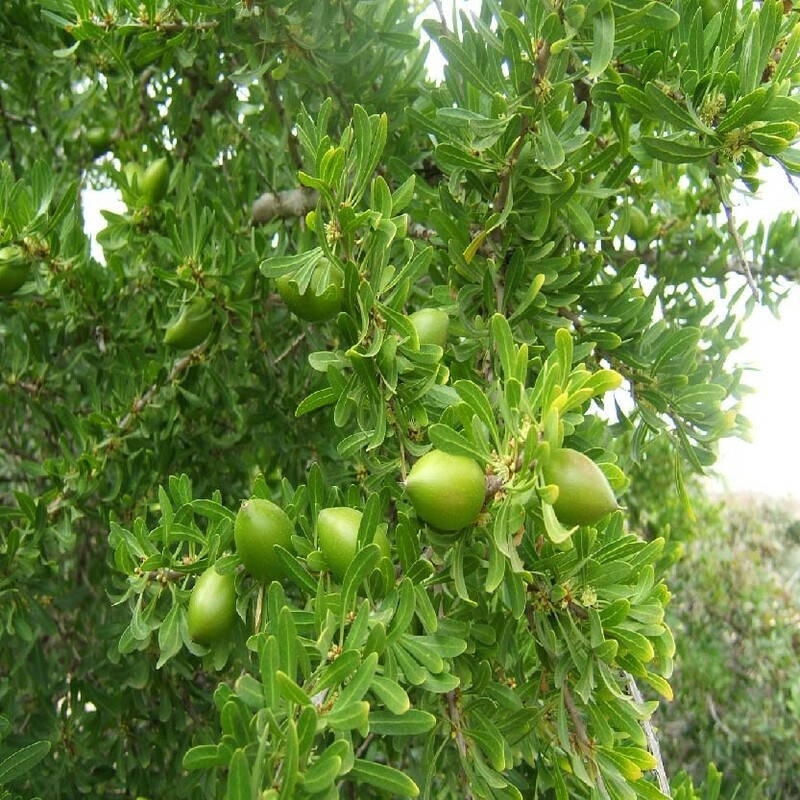 Argania Spinosa is a tree which is endemic to Morocco and certain regions of Algeria. It is also found in West Africa. Thanks to its richness in usaturated fatty acids, argan oil possesses a reparative and regenerative ability for the skin. It also possesses antioxidant properties allowing it t fight against premature ageing and skin sagging. Extremely nourishing and firming, it suits all skin types, but in particular dry and dehydrated skin.